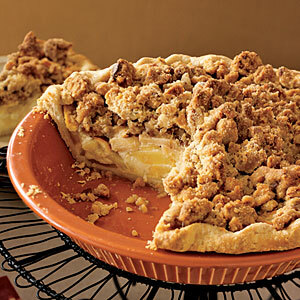 Next Baking Class: Apple Pie! Dec. 5th! On Sunday, Dec. 5th, at 1pm, we will be conducting the next in our series of baking classes! Subject: The EASY ULTIMATE APPLE PIE. We’ll teach you techniques for baking a consistently yummy apple pie, even if you don’t bake regularly. For this apple pie/crisp hybrid, there’s no lattice-work to worry about and no problems trying to figure out how to bake the apples at the same rate as the crust. We expect the class to take one and a half hours. $35 per person. Location: DessertTruck Works, 6 Clinton St, Manhattan. RSVP by emailing Jerome at mail@desserttruck.com. Just let us know how many will be coming. Pay at the door. We must limit classes to a dozen people.